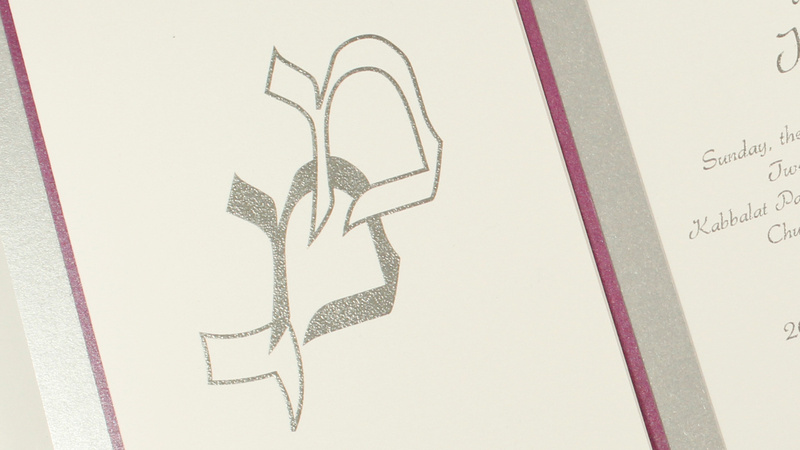 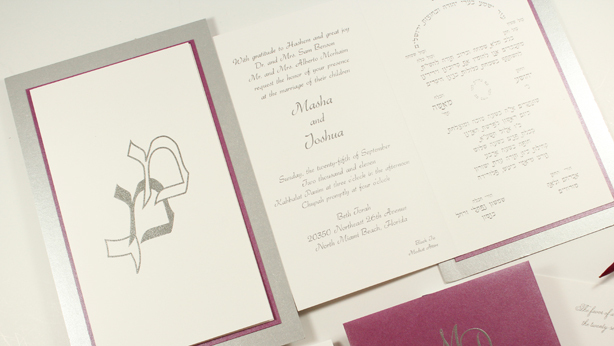 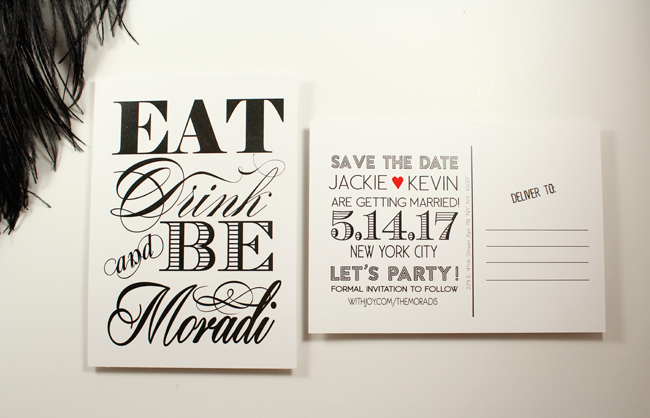 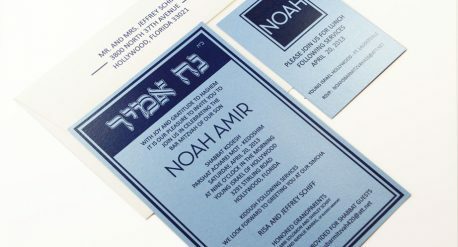 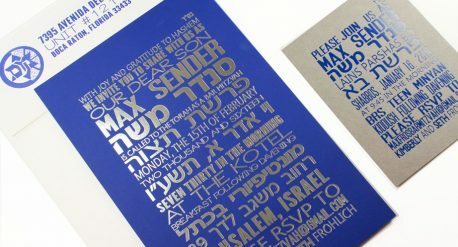 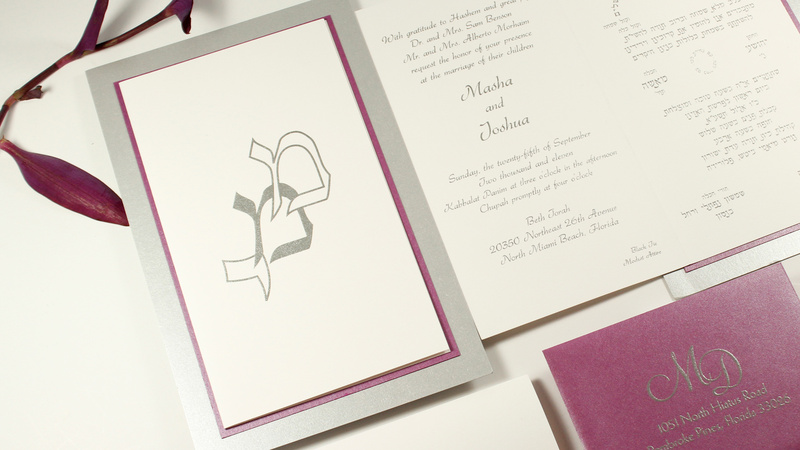 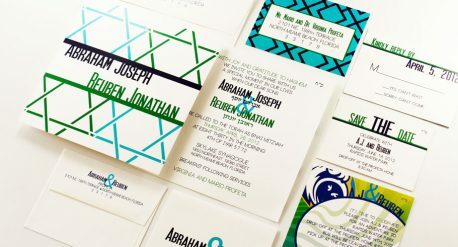 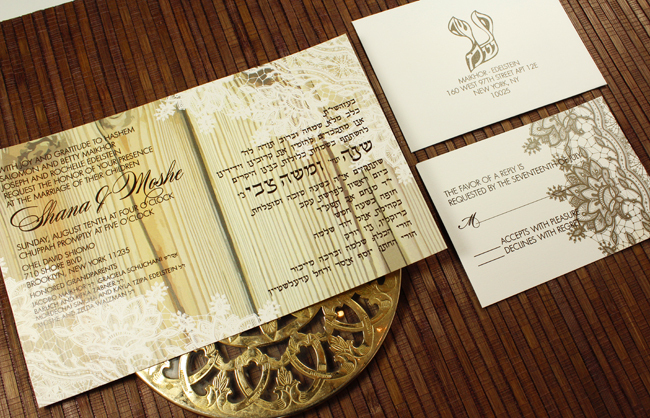 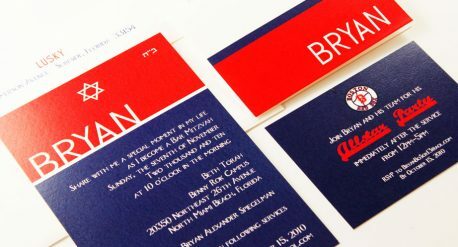 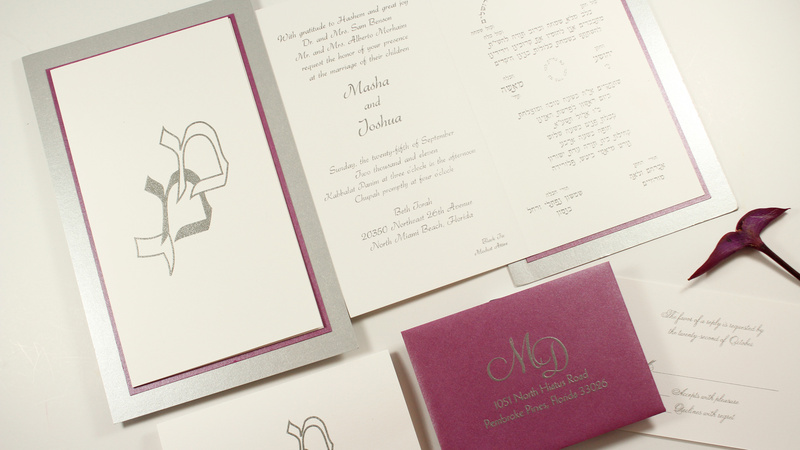 This invitation was created for a modern Jewish wedding, Both Hebrew and English Languages are available. 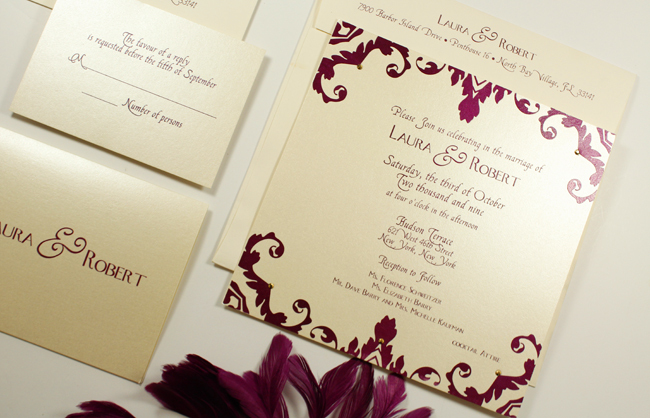 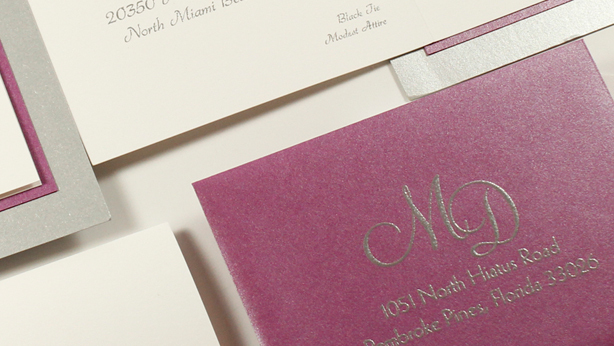 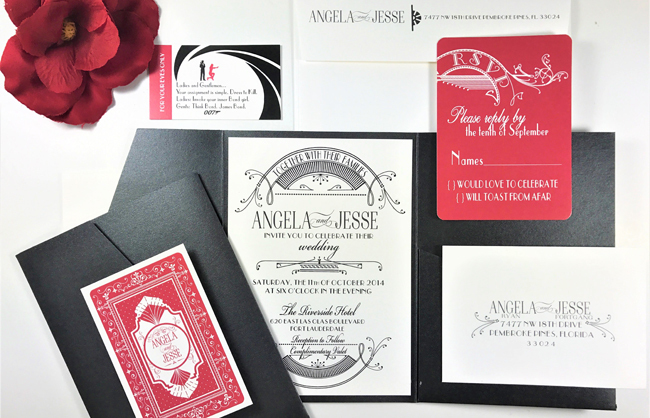 The suite can be done in numerous colors and textures to adhere to your wedding style. 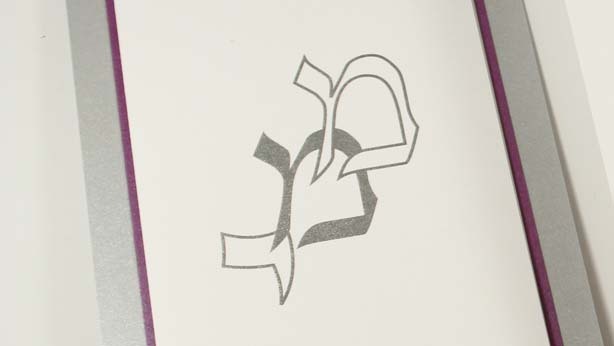 Monogram options available.